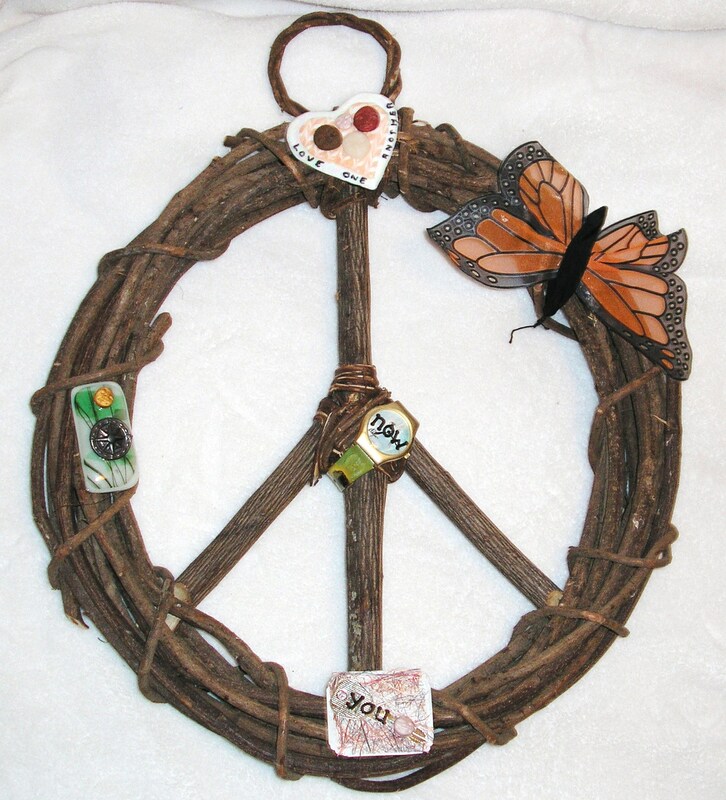 Peace sign made in Phillipines by fair trade craftspeople. My embellishments include handmade fused recycled glass, re-purposed finger puppet, junk mail “key”, natural fibers, re-purposed watch, clay faces, a compass rose, and a wish for world peace, starting in each heart, in each home, now is the time. I love this quote – I have it on a greeting card I bought when I really “shouldn’t have spent the money”, but I am glad I brought this message home. The next mixed media piece I do, I would like to feature this quote. 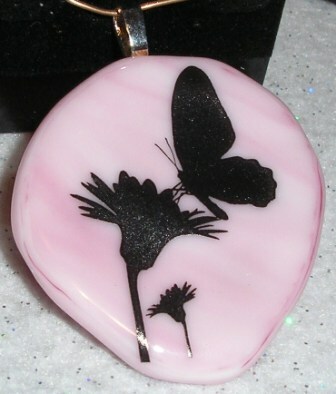 Maybe I will accent it with a glass butterfly, like this one – because butterflies float from one flower to the next, sipping nectar when they can, facing the elements when they must, but always fluttering by the moment. 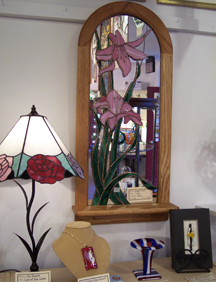 Click this link – I’m with the show – the St. Charles Glass Work Bench Art Show, that is! 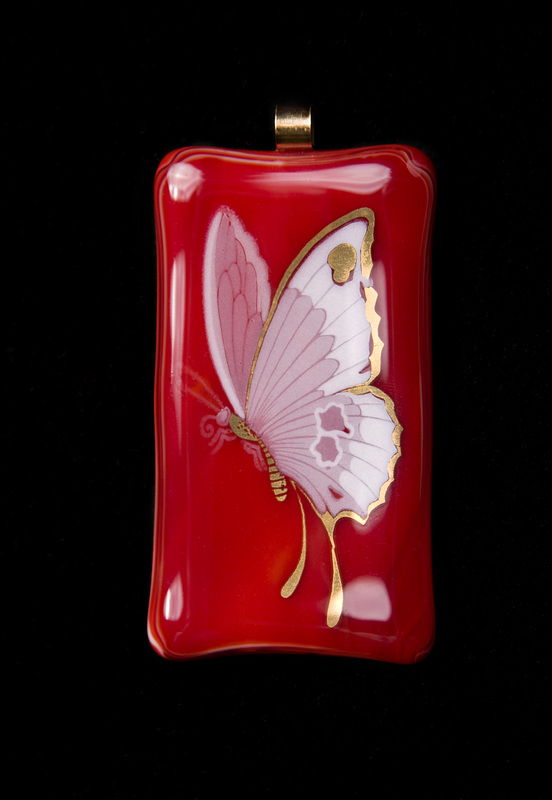 My red butterfly in fused glass (just under the beautiful lamp on the left) is entered in the art contest. I have always loved the Glass Work Bench – even before I started doing glass myself – and now I am honored to be in their Spring Art show! Stop by – it’s a lovely place to visit any day, and for the rest of this week, you can see all the art entries, and, if inclined, vote for mine! 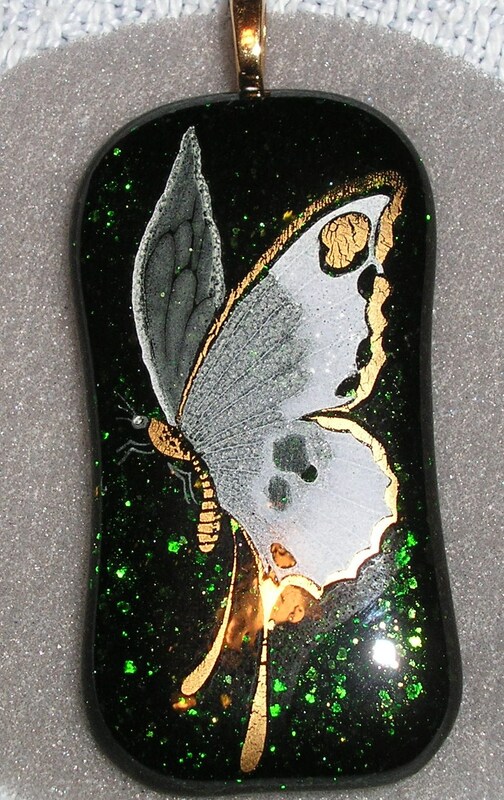 —Update – I received 3rd place in Fused Glass – thanks, everyone who voted for me! 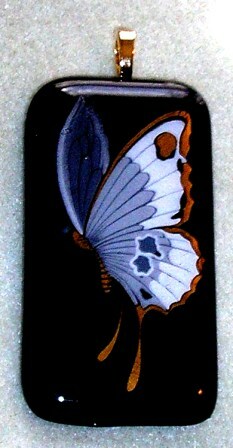 A big thank-you to Andrew Dobson, Jacoby Arts Center volunteer extraordinaire, who took this photo of one of my glass pendants for the ARTEAST (Alton Edwardsville Studio Tour) brochure – coming up Oct. 16 & 17…. 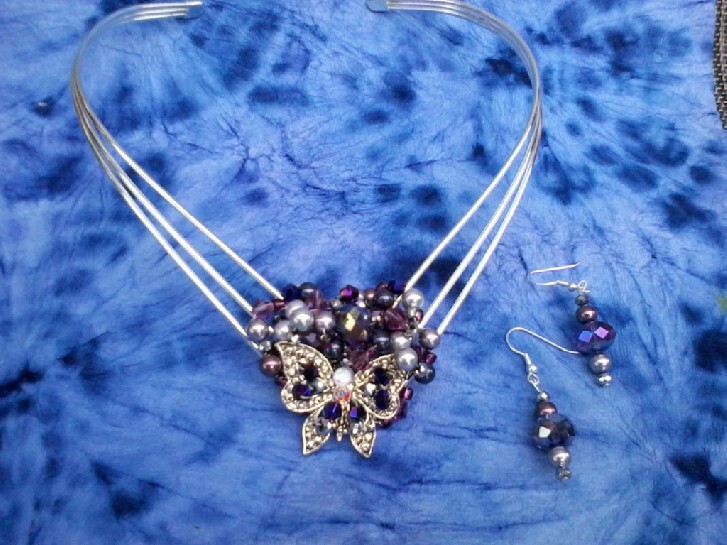 New Things at my ETSY store! Have a look! I hope you see something you like! 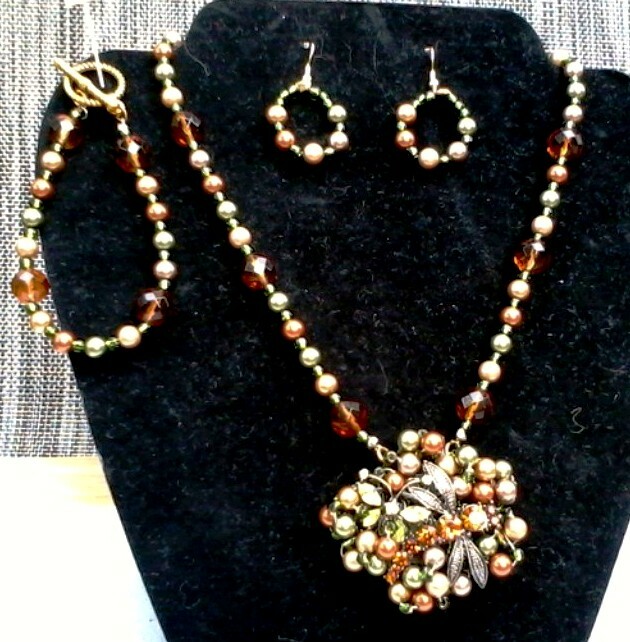 This is just one of the new items for sale! I entered this piece – and to my surprise, I was accepted, on my first time, first try!